If you have ever had the opportunity of finding yourself in a surgical theatre, the last thing you want to have on your mind are doubts about the person holding the scalpel. To ensure the highest professional standards are maintained, trainees of the Royal Australasian College of Surgeons (RACS) undergo a rigorous five to six year postgraduate training program prior to final qualification as a surgical consultant. However, such a long and demanding training program has proven to be a double-edged sword for the surgical speciality. Studies have shown that one in four surgeons plan to retire in the next five years and that only sixteen percent of surgeons were under 40 years old. The same study demonstrated that the average retirement age for surgeons has decreased by ten years. These factors place an immense amount of pressure on surgical training programs, particularly in an era where the ageing population is creating more demand for surgical services. While workforce shortage issues are by no means unique to the RACS, and indeed are felt by many medical colleges across Australia, this editorial will focus on the RACS to illustrate the issues affecting a broad range of medical specialities. Another challenge affecting the surgical profession and surgical trainees is the issue of safe working hours. Currently, the reported working hours of the surgical workforce on average is 60 hours per week, excluding 25 hours per week on average spent on-call. Although safe working hours are less of an issue in Australia than the rest of the world, it still affects surgical training. Safety and wellbeing of surgical trainees is a top priority of the RACS. Reduced trainee hours have been encouraged by research showing that doctor fatigue compromises patient care, as well as awareness that fatigue hampers learning. Long hours traditionally worked by surgeons may result in concerns regarding safe working hours and the possibility that the next generation of surgeons will seek enhanced work-life balance. [4,7] Adding to the ominous shortage of surgeons, the challenge still remains whether surgical trainees can still assimilate the necessary clinical experience in this reduced timeframe. More and more trainees place increased emphasis on work-life balance , making alternate specialisation pathways a real possibility that many consider. Two main factors that determine if a trainee surgeon is more likely to pursue a rural career are the exposure to good quality rural terms as an undergraduate and having a rural background. [11,13] Selections for rural posts are more common in doctors from a country background who are more likely to return to, and remain in, a rural practice. [12,13] Acknowledging this factor, many Australian medical schools have now incorporated both mandatory and voluntary rural terms as a part of their curriculum. In addition to these undergraduate initiatives, ongoing rural placements during postgraduate years may need to be established and given greater prominence. A trainee being allocated to the same rural location over a period of years increases the possibility of the trainee settling in the same rural location following their training. This may be due to familiarity with the social and cultural setting as well as the desire to provide continuous care for his/her patients. As a result of these undergraduate and/or postgraduate initiatives, we can expect to witness the next generation of advanced surgical trainees with a foundation of rural experience, demonstrating a willingness to undertake rural terms as an accepted and expected component of their general surgery training. [11,13] These trainees may then choose to settle in the same rural location following training, thus decreasing the rural surgeon shortage. The aim of surgical training is to ensure that trainees progress through an integrated program that provides them with increasing professional responsibility under appropriate supervision. This enables them to acquire the competencies needed to perform independently as qualified surgeons. The RACS has taken major steps to address its workforce shortage. Continuing efforts to provide for trainees and their needs are given place of prominence in the RACS 2011-2015 strategic plan. The RACS’ role in monitoring, coordinating, planning and provisioning of services, as well as obtaining adequate funding for surgical training programs, remains a major responsibility of the College. Emphasis on rural rotations at an undergraduate and early postgraduate level, consideration of the work-life balance of both trainees and surgeons and sufficient staffing of theatres, will help eradicate the surgeon shortage whilst ensuring that the finest surgical education and care is available to Australians into the future. Amott DH, Hanney RM. The training of the next generation of surgeons in Australia. Ann R Coll Surg Engl 2006; 88:320–322. Berney CR. Maintaining adequate surgical training in a time of doctor shortages and working time restriction. ANZ J Surg. 2011; 81:495–499. Hillis DJ. Managing the complexity of change in postgraduate surgical education and training. ANZ J Surg. 2009; 79: 208–213. O’Grady G, Loveday B, Harper S, Adams B, Civil ID, Peters M. Working hours and roster structures of surgical trainees in Australia and New Zealand. ANZ J Surg. 2010; 80: 890–895. Bruening MH, Anthony AA, Madern GJ. 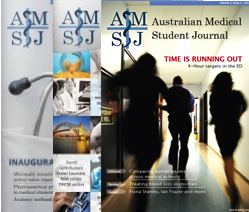 Surgical rotations in provincial South Australia: The trainees’ perspective. ANZ J Surg. 2003; 73: 65-68. Green A. Maintaining surgical standards beyond the city in Australia. ANZ J Surg. 2003; 73: 232-233. Kiroff G. Training, retraining and retaining rural general surgeons. Aust. N.Z.J. Surg. 1999; 69:413-414.